I wanted to start a thread of my few customs I have. 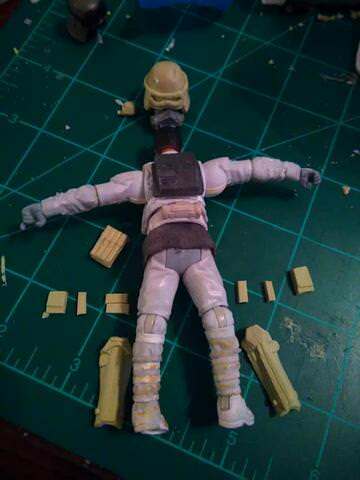 The mudtrooper is the most in depth custom I have created, with additional sculpting and everything on it. These are the rest of them. 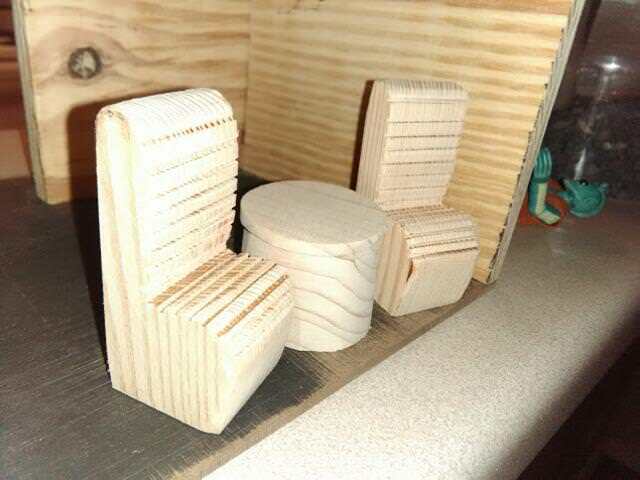 They are much simpler, but I like how they turned out. 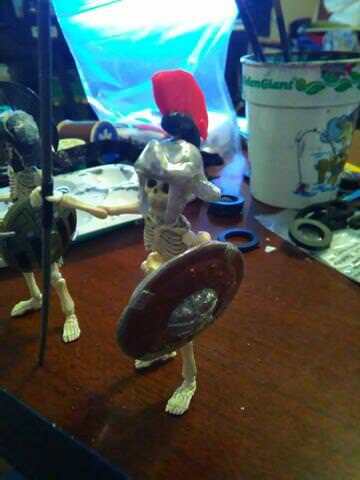 I also made some armor for my skeletons. 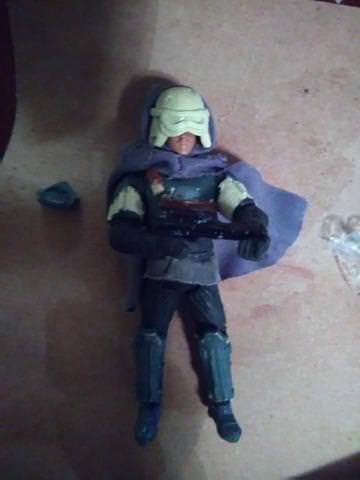 the sword is cut from a bit of trash plastic. Last edited by johnmorog on Mon Apr 15, 2019 9:49 am, edited 8 times in total. Those are pretty cool. 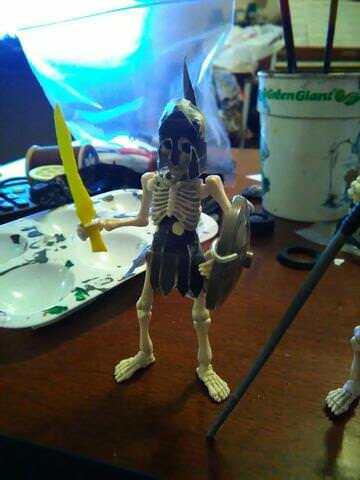 The skellies are especially fun. These are great. 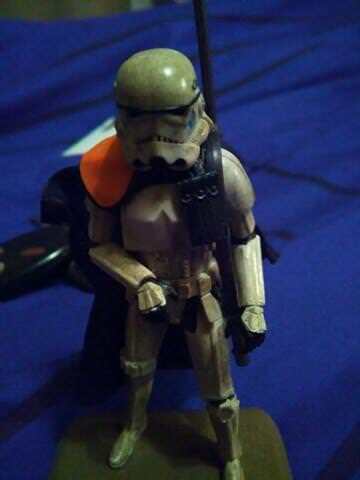 I especially like what you did with the Mimban Stormtrooper. 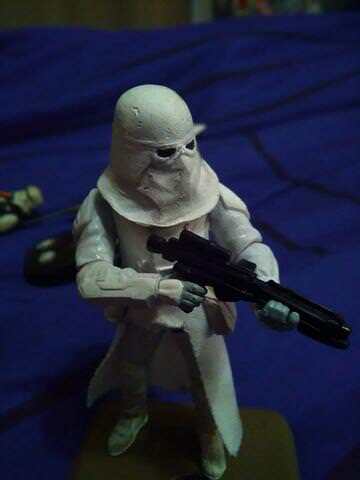 As for the snowtrooper masks, excellent job sculpting those. That's impressive and way better than I could do. 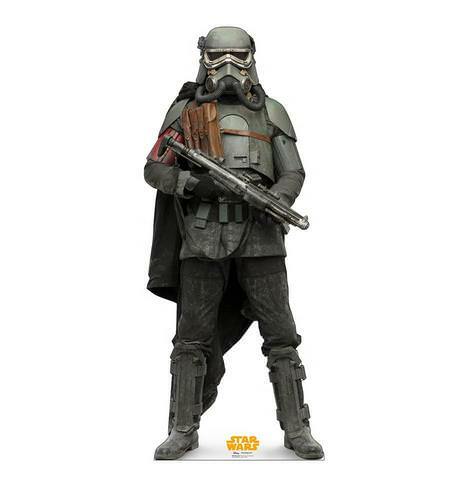 I quoted your Mud Trooper here so all is in one thread for ease of readers to find your customs all at once, or I can merge threads if you'd like. 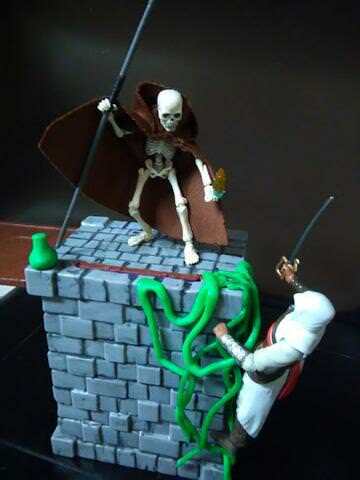 johnmorog wrote: Hello, this custom is the reason I wanted to join the forums. Yes, just to show it off. I'm pretty proud. 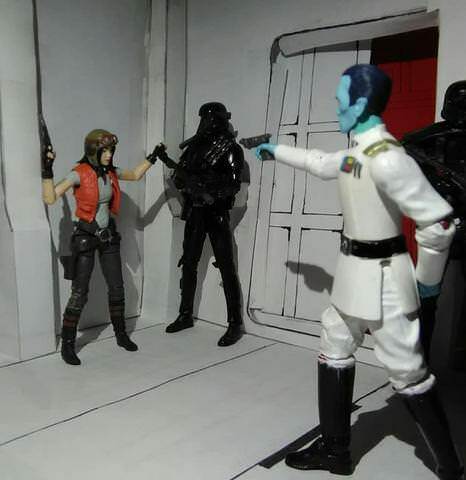 I do hope that Hasbro makes their own version though... I'd buy like 20. 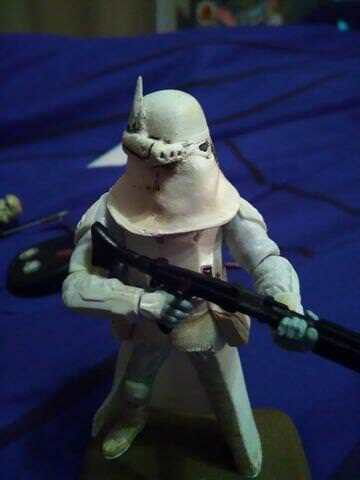 The mudtrooper from Solo is amazing, and I had to make my own. I do still have a couple finishing touches to do, such as the greeblie on the side of the helmet, but it's basically complete! 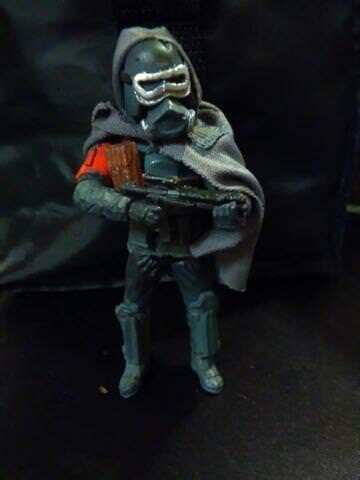 Here is my latest custom figure, the ancient Mandalorian warrior armor from Solo. 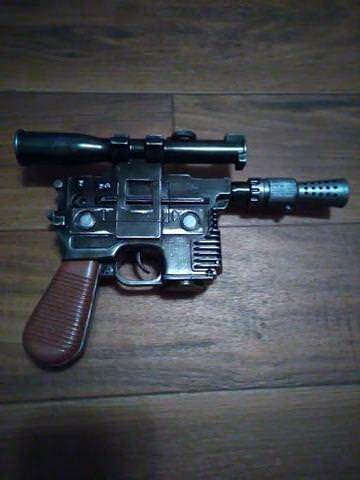 I know a guy on facebook who recasts darksabers and will eventually give him one. 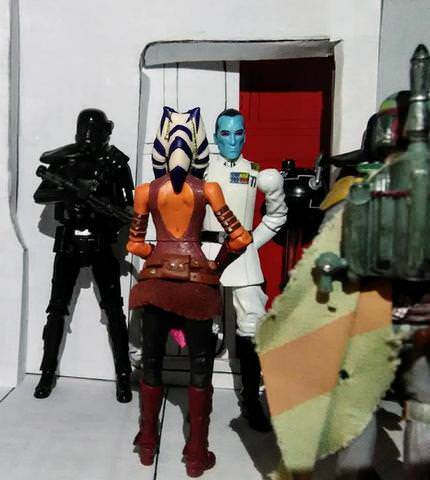 Sadly Pre Vizsla is a very expensive after market figure and so is a loose darksaber! 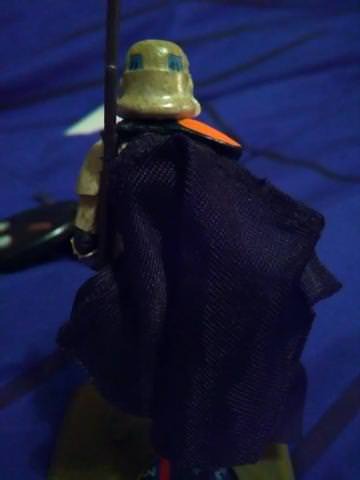 30th Jango (poncho) helmet - the helmet is removable. 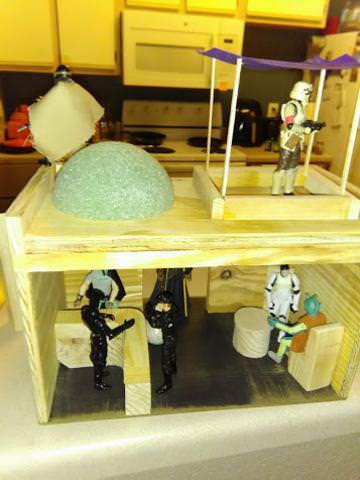 I also wanted to post some pictures of a diorama I am making (and plan to sell finished). 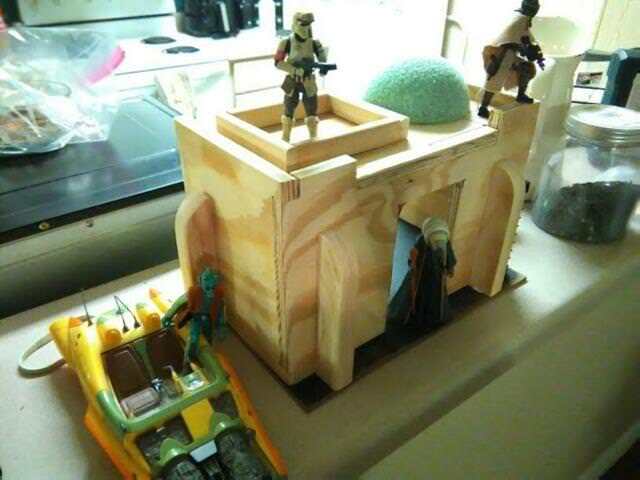 In the style of Empire Toy Works' http://www.yakfaceforums.com/phpBB3/viewtopic.php?f=25&t=7703&start=240 amazing wooden playsets, I have decided to make my own. Right now I am working on painting and weathering it. My wife is helping me with painting the furniture inside, too. I am very happy with this project, it has been super fun to make. 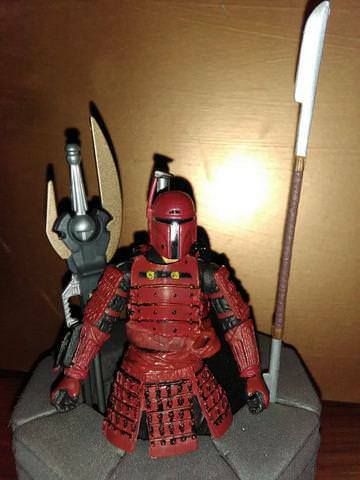 Nice job on the red Mando, really like that. Great looking buildings too; I can't wait to see those painted up! 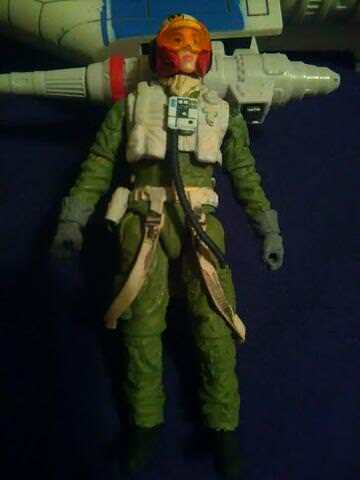 Did a quick fix for my hovertank pilot. 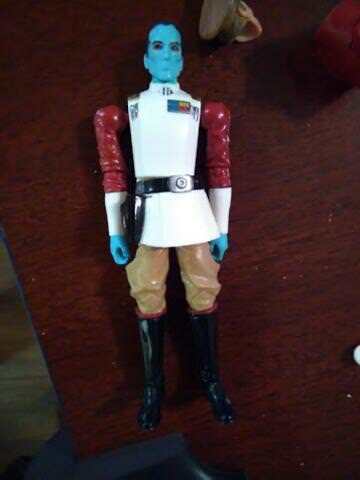 I needed a commander, of course, so here he is. 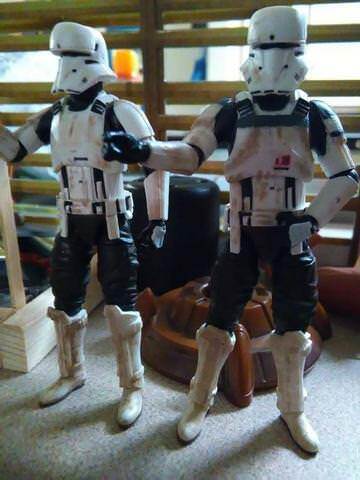 Really easy paint job. Just acrylic coated in a satin resin varnish. The red spot is a citadel paint, but could just as easily have been acrylics. Realized there were some customs that I hadn't posted up yet! 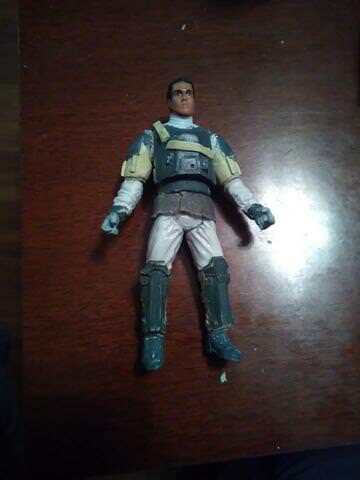 Here is an articulated Tallie a-wing pilot. 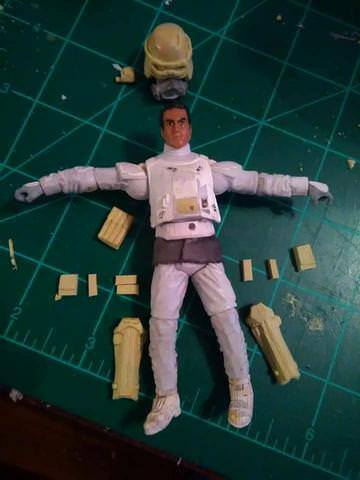 It's a repainted Poe Dameron TBS 3.75. 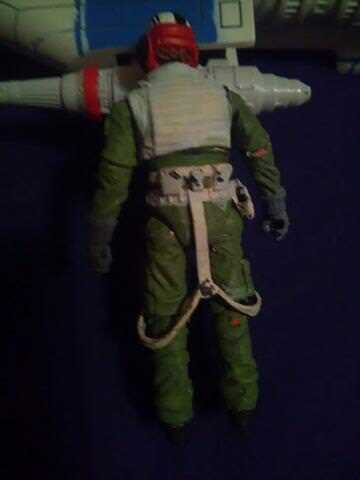 I resculpted the vest to look more like the a-wing pilot variant and have since glued the hose in the correct location. 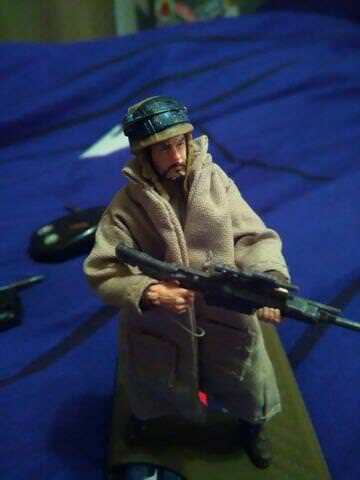 Figures are not the only thing I customize. I like repainting Hasbro blasters. Very nice!!! I love repainting the cheap costume guns as props. With good skill (such as yours showcased above) you can get a pretty nice display piece for cheap! 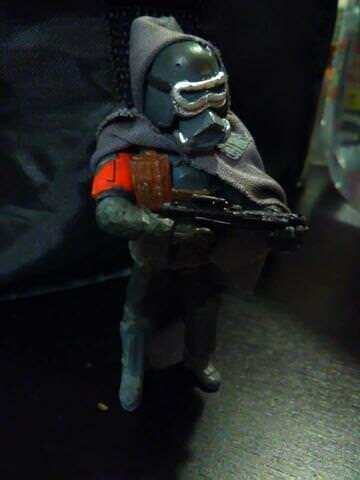 Also, I still love your ancient Mandalorian custom. It's perfect. Jodo wrote: Very nice!!! 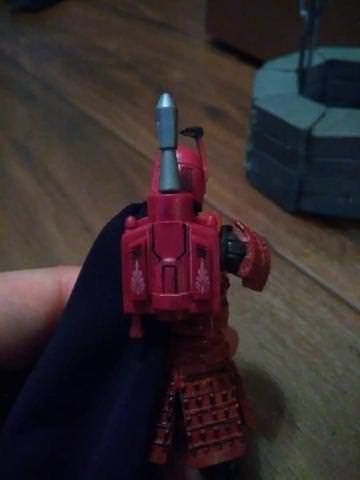 I love repainting the cheap costume guns as props. With good skill (such as yours showcased above) you can get a pretty nice display piece for cheap! Thanks for the compliments! 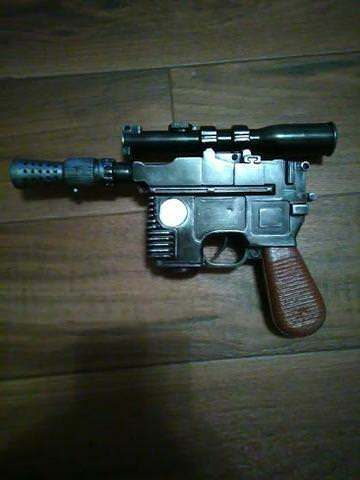 I found a couple Rubies Dl-44's on clearance at Target and I'm repainting them now. I'll post up some more pics when they are done. 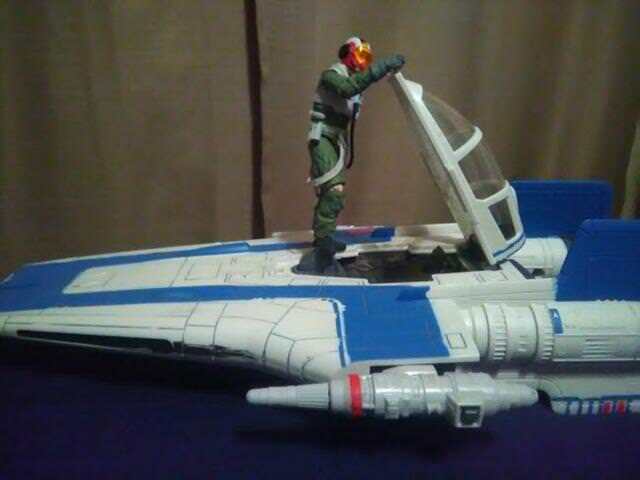 Those are one way I fund the rest of my toy buying haha. 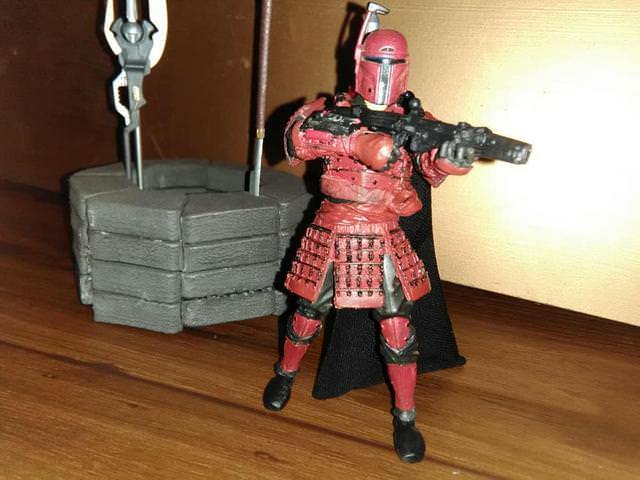 I have another Budo and I'm thinking I might just make another Mando! 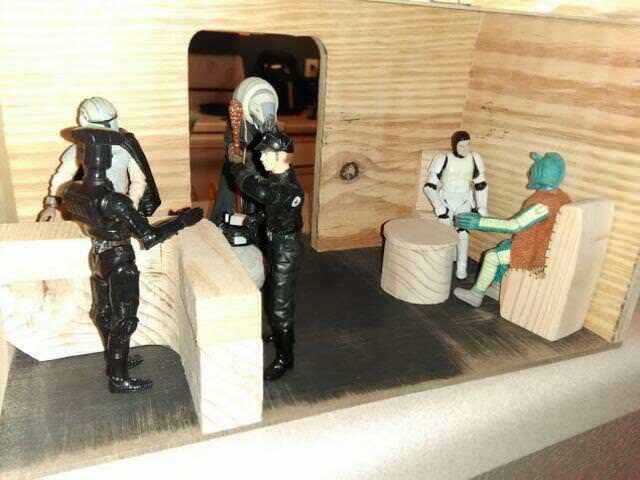 johnmorog wrote: I have another Budo and I'm thinking I might just make another Mando! What?! No, you should sell it to me!